Successful trucking organizations understand that operational efficiency depends on many factors, including driver motivation. Efficient operations require not only top-quality equipment, expedient systems, as well as safe and productive procedures; it also requires motivated drivers and non-drivers. For motivated drivers, it’s not just about getting the miles and receiving a paycheck; it’s about having pride in how they are contributing to the organization. Motivated employees and contract drivers are inspired to help you create a successful company. When the topic of motivation comes up, the first thing people turn to is pay and benefits, thinking “We have to pay them more!”. However, these factors only motivate people to a certain extent. Once their basic needs are met, people will look for other factors to keep them going. Daniel Pink has conducted interesting research around motivation. In his study, he found that factors such as achievement, advancement, and responsibility can increase someone’s motivation and engagement. 1. Make sure drivers know who to contact. Think about the soundtrack for the movie Ghostbusters. When Ray Parker Jr. asks the all-important question: “Who you gonna call?” We all answer: “Ghostbusters!” If a ghost arrives in the movie, there’s no doubt who people should call. Is it the same when your driver encounters trouble on the road and needs to talk to a mechanic? What if a driver or family member has a question related to their benefits plan? Do drivers even know who to contact to request a schedule change for next week? Unfortunately, a lot of time is wasted by drivers trying to get a hold of someone when they have questions or need help. Not knowing who to contact not only frustrates drivers, it decreases efficiencies and creates an unmotivated workforce. If you’re trying to motivate your drivers, make sure you have—and communicate—a process for drivers to contact the right people who can help address any questions they may have. 2. Give drivers a voice…and listen to what they say! Drivers have a lot of time to think, and they often have great ideas about how to improve efficiencies or remove barriers from their day-to-day work. Creating a way for drivers to offer their insight to managers and leaders is important. One effective way to give drivers a voice is by conducting either an annual or an ongoing engagement survey. You can also provide other on-going processes for gathering feedback, such as a suggestion box or quarterly Q&A sessions. A survey or other feedback tools offer drivers a sense of ownership and responsibility, which in turn can serve to motivate their on-the-road performance. It is equally important that you address the feedback or suggestions from drivers. Asking for feedback but not taking action or responding to the suggestions will only serve to demotivate your drivers. Instead, evaluate the feedback, make a plan, and then communicate any next steps to ensure that drivers feel heard and know what is (or isn’t) happening based on the feedback they provided. This two-step approach to feedback (listening to and addressing feedback) demonstrates your commitment to drivers and will motivate them to seek more ways to increase efficiencies on the road. 3. Share best practice behaviors. If drivers don’t need to reinvent the wheel, don’t make them! Instead, share best practices with your entire team of drivers. Find out ways that your high performing drivers have worked to create efficiencies. Celebrate their accomplishments and share their behaviors with all drivers to allow for continuous learning and improvement. Ideally, this type of celebration and sharing of information will motivate and inspire everyone to adopt and practice successful behaviors that improve efficiencies. 4. Show appreciation and recognize great work. We know that motivation does not only come from external factors such as a pay raise; it’s also about a sense of achievement. One way to motivate drivers is by recognizing and appreciating their accomplishments. It seems simple to express appreciation—just say thank you! But, if there is not a plan in place when it comes to recognition, it’s an easy thing to overlook when work gets busy. An effective recognition plan ensures that you recognize the behaviors you want to encourage in others. If your company culture values hard work and extra effort, it’s important to praise people when they go above and beyond. If you appreciate the fact that you’re a family-focused organization, recognize people for managing their workload so that they can spend time with their family. Whatever behaviors you want to see more of, praise them to encourage people to continue—or to adopt—those behaviors. 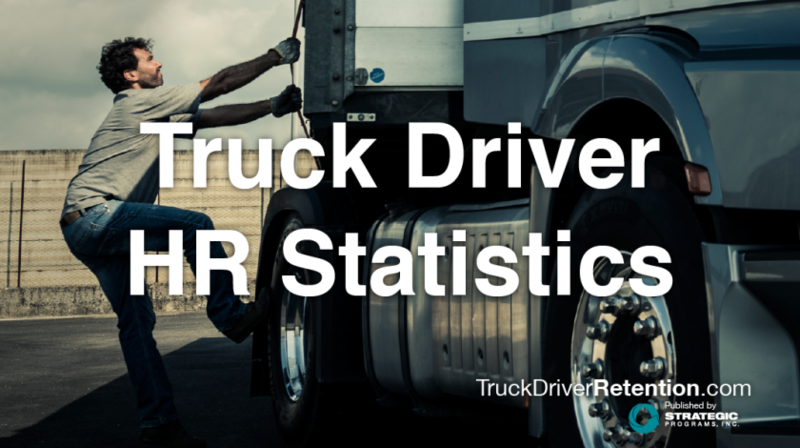 Driver motivation is one of several factors that can positively impact operational efficiency. Each driver is motivated by different things, which is why it’s important to look at the various ways you can influence motivation—by ensuring drivers have the contact information they need, by providing ways drivers can submit feedback, by celebrating best practices, and by recognizing and appreciating great work. Use one or more of these suggestions as a way to examine where you might be able to improve your processes and in turn, motivate drivers.